Any post to do with movies and film. Good day all! It’s been sometime since i did an “Eleni’s Evaluation” on a movie and that’s going to change right now! 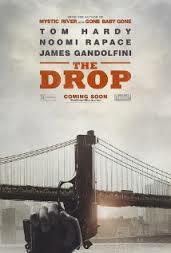 Friday night i saw The Drop with Tom Hardy and James Gandolfini, his final performance before his unfortunate death. Set in modern day Brooklyn, we follow the workings of the Chechen mafia and what they like to call Drop Bars – bars that hold their profit illegally. It’s discreet and simple. The bar in particular we watch is Cousin Marv’s, owned by Marv (James Gandolfini) and his younger cousin Bob (Tom Hardy). The two of them make for an interesting dynamic – Marv was the gambling and blackmail king of Brooklyn back in his time and Bob is the lonely, quiet and misunderstood bartender. One night while the cousins were closing up the bar, counting and storing the Chechens profit, a robbery took place. Marv willingly gave up the Chechens money while Bob noticed something distinct about one of the robbers – the robbers watch was stuck at the time of 6:15. The robbers fled but not without brutalizing one of the younger employees at the bar, which then led to the cops being involved, this was the last thing Marv and Bob wanted. Some days after the robbery on his way home from a shift at the bar, Bob rescues a beaten pitbull puppy from someone’s trash can. The owner of the trash can came out to see what Bob was doing and then we learn that the stranger was unaware of the puppy being in her trash. She lets Bob and the puppy into her home and helps Bob with healing the puppys injuries. Thus, we meet Nadia (played by Noomi Rapace). Bob and Nadia decide to co-own the puppy, seeing as though Bob felt it was a big responsibility to do it on his own. As the movie progresses, we learn times were hard for Marv, the bank threatening to foreclose his house and just pay the bills and collectors for his gambling was a challenge. Now you remember how i said Marv used to be king? Well he had some tricks up his sleeves on how could steel money from the Chechnan’s – plan a fake robbery at his bar. SO YES! Marv was in on the robbery that night! Will he get away with it or will Bob, unaware he’s in the crosshairs, figure out his cousin isn’t who he thought he was? I have to say, Bob’s character development in this movie was extremely interesting, there was a huge twist at the end that i never saw coming, you probably won’t either! James Gandolfini was superb as always and Tom Hardy gave me a reason to become a fan. Tom’s performance was definitely something to be noticed and praised. I would see this movie in a heart beat again. Hi everyone! I just finished my bio notes for the day so now I’m free to do my weekly movie review – WOOT! So lets get down to it shall we? I need to just get this off my chest, if i may. I’m not a huge fan of overly sappy, cheesy and predictable romantic movies. In fact, i’ll take it a step further – I DESPISE THEM! I like a good underestimated love story but as soon as i got the plot figured out, I’ve lost all interest. I’d rather watch huge battle scenes, CGI blood and muscley men in skirts than watch a chick flick. Which brings us to the movie of the week. 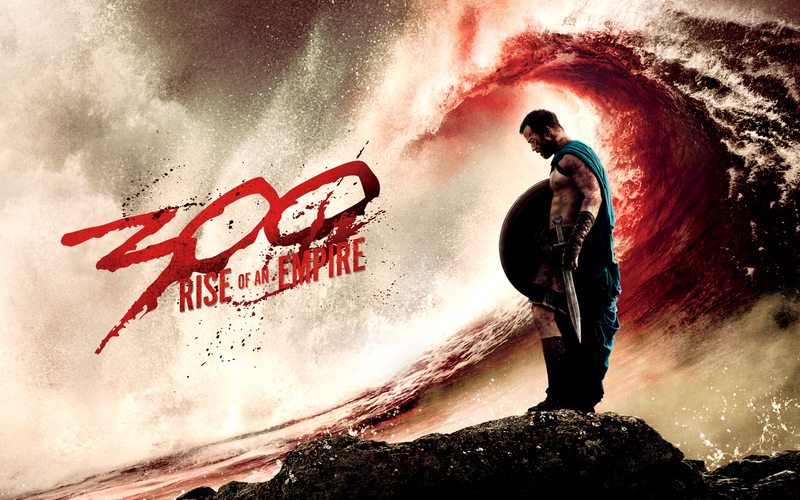 Let me introduce 300: Rise of an Empire! Now I know it came out a little while ago, you don’t need to tell me but I have been listening to the soundtrack all afternoon so i have it stuck in my head. When it first came out in early March, I was soooo excited! I loved the first 300 despite it being somewhat historical inaccurate, that was the least of my concerns as I watched the brave 300 battle the 20,000 Persians in the battle of Thermopylae. Also, the Spartans abs were a nice distraction. The way the movie was shot was the first of it’s kind, slow-mo kill strikes, the “spraying blood”, blue screen filming and the use of colour in the shots to portray moods. I was a fan to say the least. So this leads us the 300’s sequal, 300: Rise of an Empire. I loved this movie more than the original (don’t kill me). Wanna know how much i love it? I saw it in theaters 3 times, all in 3D and i have the poster version of the picture above taped to the back of my door along side my Thor: The Dark World poster. I AM HOOKED! The sequel stayed true to the original with the filming, colours and muscley men. The only difference with the filming i thought was there were a lot more Hi-Def close ups, and being in 3D, it looked freaking cool and crystal clear! Also the way the plot line was set up was very interesting too. It was a told before the Spartans Battle of Thermopylae, during the battle and then after the Spartans defeat. In the sequel, we follow the Athenians, not nearly as advanced as the Spartans in combat but they make due with what we fans like to call Athenian Shock Combat. A little taste of Athenian Shock Combat. If you have a movie that you think I would enjoy and would like to know my thoughts, please leave a comment and I will be delighted to watch and tell! Thank you everyone ! Have a good night! Good evening everyone! Now if you’ve read our “About” page, you would have seen that I am a movie lover. I will watch practically anything and there are very few movies that i dislike! I have to say my love for film started when my brother made me sit and watch The Lord of the Rings: The Fellowship of the Ring back when i was 7 in 2002. Yes your read that right, i was just the young age of 7 when I first met the Belrog (don’t know the Belrog? watch the movie!). But I’m not here now to talk about my love for The Lord of the Rings, that’ll be for another day. Today, I will be giving my own little review of one of my favourites: Amélie. The film came out in 2001 and only until recently have i discovered its amazingly quirky self! Set in Paris, 1997, we follow Amélie Poulain, a young woman working as waitress who’s grown up to be introverted thanks to her cold parents. Like everyone else, she has her own little pleasures. She enjoys skipping stones, cracking the burnt sugar crust on creme brulee and letting her fingers sink into a bag of grains. One evening, while she watches the news, she’s shocked to learn of the death of Lady Diana. In her shocked state, she finds an old metal box containing toys that look to have been owned by a little boy who lived in her apartment 40 years ago. She decides to find the boxes owner and promises herself that if she finds him and it makes him happy, she will devote her life to bringing happiness to others and helping others as much as she can. And here i ends my little summary. Amélie as a whole is a very quirky, adorable and under-rated movie. I have watched it 2 times in 2 days and every time before, it has always brought a smile to my face. It’s the type of movie you can watch on a crappy day and feel better about everything at the end. 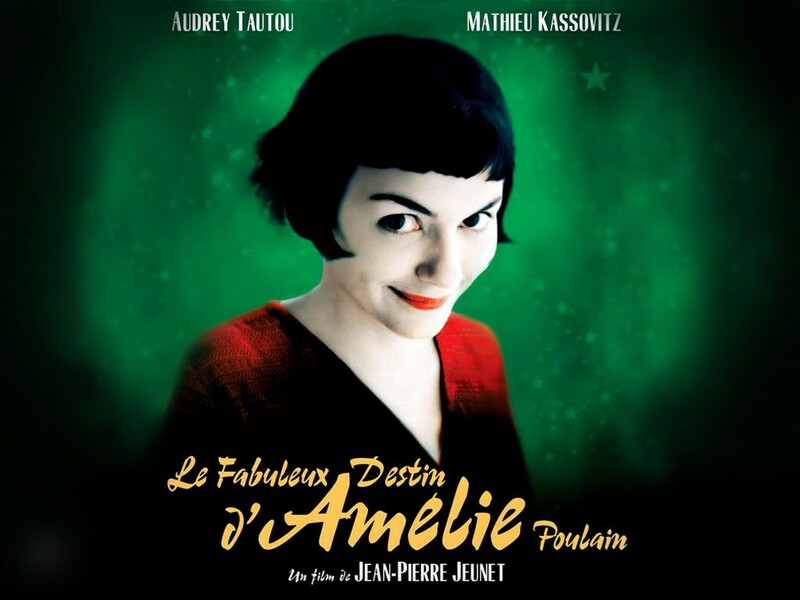 There are subtitles throughout the movie, just to warn you but even it you’re not a fan of them, just listening to Audrey Tautou (actress of Amélie) speak french will make your day 100% better. The genre i would classify this is romantic comedy. Comedic in Amélie’s everyday life and perception of the world and romantic in the aspect of her trying to come to terms with her feelings for Nino Quincompoix, a stranger who collects discarded photo booth pictures of people and keeps them in a family photo album. Nino and Amélie were made for each other and you can tell right away when they first meet. And plus, just look at these two sweeties!!! I love the way Amélie stares longingly & lovingly at Nino. Now i’m not going to give away the ending! I hate spoilers and so should you! It’s up to you now to find out if Amélie succeeds in returning the metal box, in helping those around her and if she gets her one true love Nino. Thank you everyone – have a pleasant night!